Lost Nation: The Ioway: Were the Ioway Attacked by the Sac & Fox in Iowaville? Were the Ioway Attacked by the Sac & Fox in Iowaville? 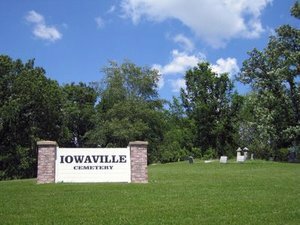 Lucas Countyan photo of the Iowaville cemetery. The link below leads to an interesting meditation on the Iowaville village site near the Des Moines River. Some historians don't believe the attack mentioned in the article on the Ioway by the Sac and Fox ever happened. I wonder if there are stories in Ioway oral history that confirm or deny the event?